ARE YOU READY TO BECOME A HOME OWNER? Awesome opportunity to own this all brick, colonial home on Detroit's east side! This soon to be renovated home will include all new and updated mechanical systems, including the furnace, hot water tank, plumbing, and electrical. Also, the home will be freshly painted inside with new and refurbished floors. Plus, a lot more! All updates are completed prior to closing. Contact me TODAY to see how this home can be yours with easy to qualify for, LAND CONTRACT TERMS. BATVAI. Appointment is required to show. 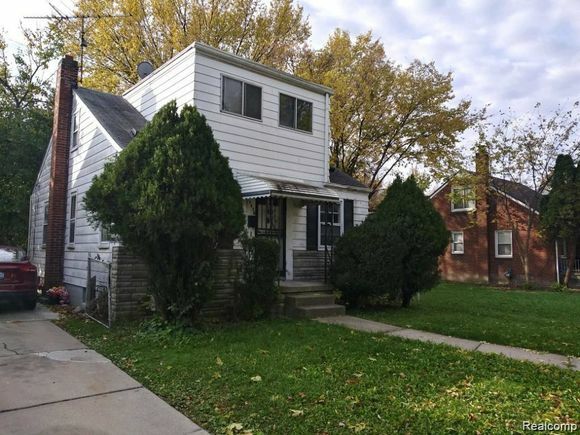 The details on 15638 Fairmount Drive: This house located in Burbank, Detroit, MI 48205 is currently for sale for $45,000. 15638 Fairmount Drive is a 1,084 square foot house with 3 beds and 1 bath that has been on Estately for 4 days. 15638 Fairmount Drive is in the Burbank neighborhood of Detroit and has a WalkScore® of 49, making it car-dependent. This house is in the attendance area of Fisher Magnet Lower Academy, Fisher Magnet Upper Academy, Denby High School, Ellington Conservatory Of Music And Art At Beckham Academy, East English Village Preparatory Academy, Detroit International Academy For Young Women, Spain Elementary Middle School, Detroit School Of Arts, Cass Technical High School, and Douglass Academy For Young Men.